"Gorgon" redirects here. For weapon, see Gorgon Trap. Even the most skillful hunter must be very wary of the extremely dangerous Gorgon mouse. A quick gaze into the eyes of this creature will instantly petrify any hunter. Most MouseHunters suggest some form of protective eyewear such as bucket over the head or glasses made with thick wooden lenses. Sure, you won't be able to see, but at least you won't end up as a permanent lawn ornament! The Gorgon Mouse is attracted to Ancient Cheese and Runic Cheese. No Charms are required to attract the Gorgon Mouse. Hunters can encounter the Gorgon Mouse in the Acolyte Realm and the Forbidden Grove location. 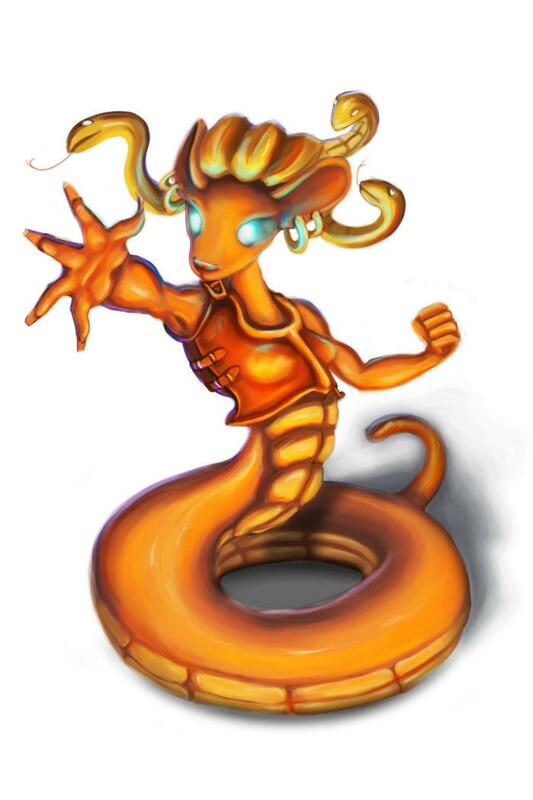 4 March 2009: The Gorgon Mouse is released with the introduction of the Acolyte Realm and Forbidden Grove. 18 April 2011: The Gorgon Mouse began dropping the Wavy Purple Egg as loot as part of the Spring Egg Hunt 2011 event. 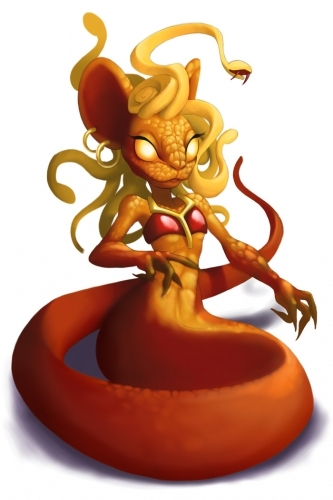 14 October 2014: The Gorgon Mouse was given new art. The costumed version appeared during the Halloween 2014 event and the new uncostumed version appeared when the event ended on 4 November 2014.